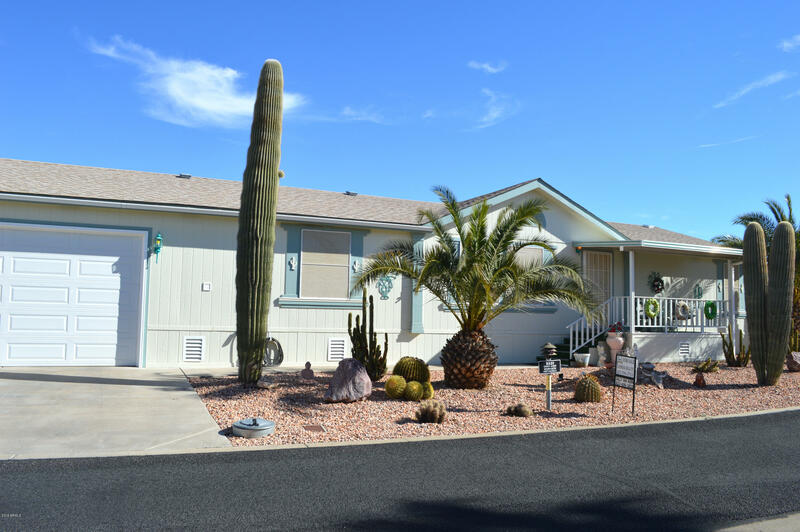 All HAPPY TRAILS RESORTS NO 8 homes currently listed for sale in Surprise as of 04/23/2019 are shown below. You can change the search criteria at any time by pressing the 'Change Search' button below. "Gorgeous Superwide with a 2 car extended garage on a HUGE corner lot!This home is a 3 bedroom 2 bath .As you walk in the front door, you are greeted with a large living/family room that has vaulted ceilings, and is open to the dining room The kitchen has upgraded cabinetry plus a breakfast nook. The kitchen also features full size dishwasher, side x side fridge, glass top stove & microwave. there is an office/hobby room additions plus a screened in patio. Furnished,including pots,pans,dishes,be"